Because of our late arrival last night, our day in Xi’an was very full. Xi’an (pronounced she-an) was the imperial capital of China for 12 dynasties, as well as the beginning of the Silk Road. It is loaded with history. 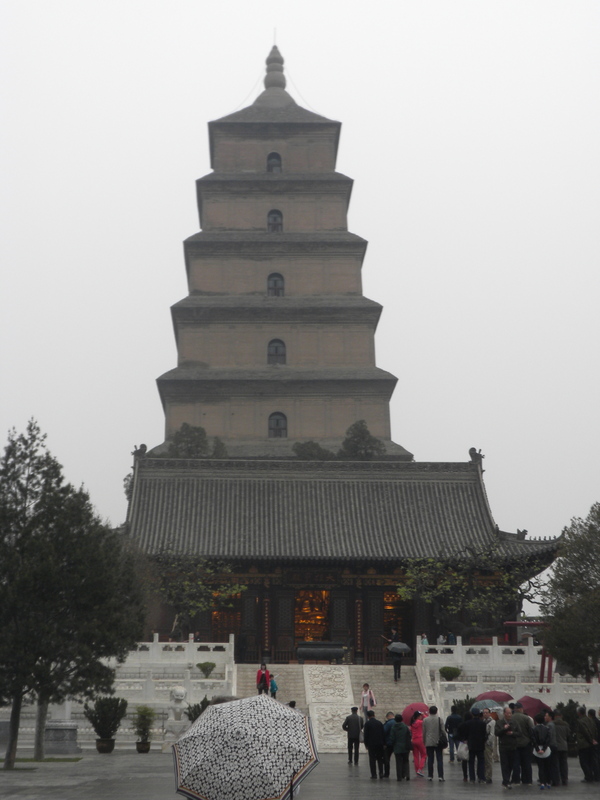 We stopped first at the Big Wild Goose Pagoda, a 7th-century structure that is a holy place for Buddhists. Our view of the outside was dampened somewhat by the rain, but the inside offered numerous murals and statues. 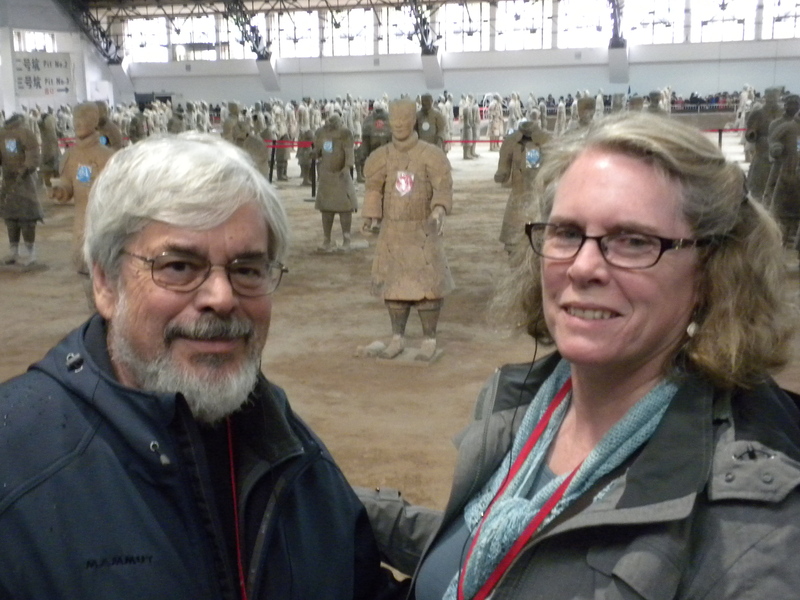 The top attraction of the day, however, was the terra cotta army. 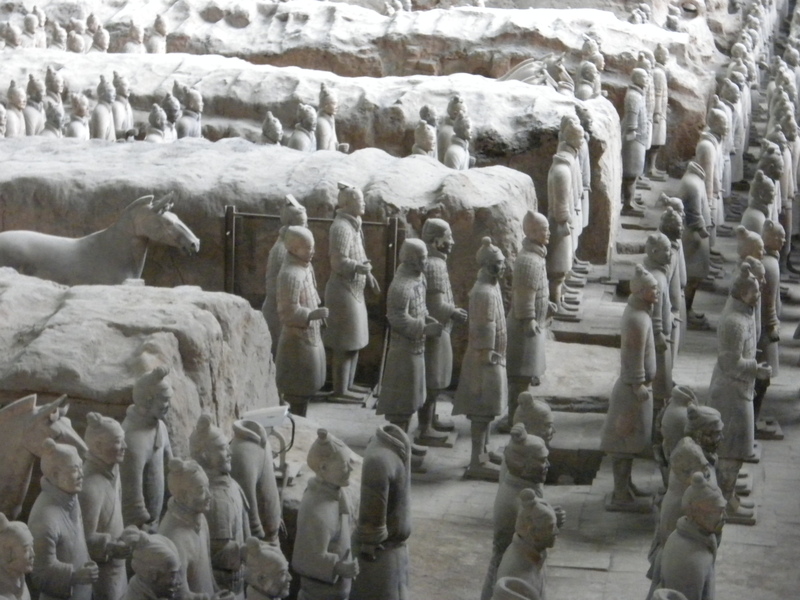 These thousands of life-size warriors, along with horses and chariots, were buried with the first emperor of the Qin dynasty in the third century B.C. They were discovered in 1974 by a farmer who was digging a well. The farmer has written a book about his discovery and was there the day we visited, signing copies of the book. Each of the warrior’s facial features are different, and the main army is spread out over an area the size of a football field. The army was badly damaged by rebels who destroyed most of the warriors and burned the site. The warriors on view today have been reconstructed from the shards, and the reconstruction continues. Only one soldier was found undamaged. The pit where most of the warriors are is an amazing sight, though it felt like the warriors were outnumbered by the people who had come to view them in spite of the rain falling outside. It was Saturday, so the crowds were large. You had to push through them to get the best view of the army. 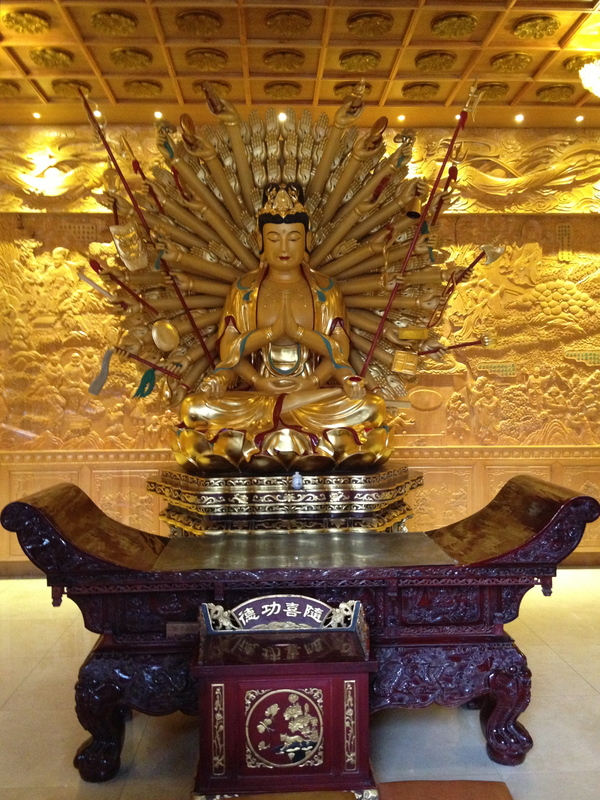 After our visit to the warriors, we were supposed to go to a local market, but it was late, it was raining, and everyone was tired, so we vetoed the marketplace and headed back to the hotel to get a little rest before the final event of the day, the Tang Dynasty dinner and show. Gao Ming plays his flute. The show is based on music, dance, and costumes from the Tang Dynasty, which reigned from the 7th through 10th centuries A.D and is considered to be one the great periods for Chinese culture. It was quite a show. One highlight was a performance by a man named Gao Ming on the pai xiao, a type of pan flute that is based on a 3,0000-year-old instrument. Gao learned the instrument from his father and is a master of it. He performed the “Spring Orioles Song” and indeed made his flute sound like a bird. After the show it was back to the hotel to get some sleep because we were making an early start tomorrow to fly to Tibet.